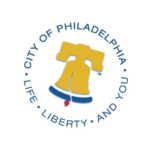 Philadelphia is demonstrating an open and agile approach in the redesign of the city’s new website, beta.phila.gov. Right in the open, Philadelphia is releasing new versions of the site as it is built, iterating frequently, and making changes based on exactly what users need. Instead of working behind closed doors and making the public wait for a grand reveal, we will build out in the open. This is an experimental prototype, a work in progress. It’s missing content. Parts of it are confusing. The design needs work. And that’s the point. We’re starting here, knowing it’s not perfect, but with the means to continually make it better.